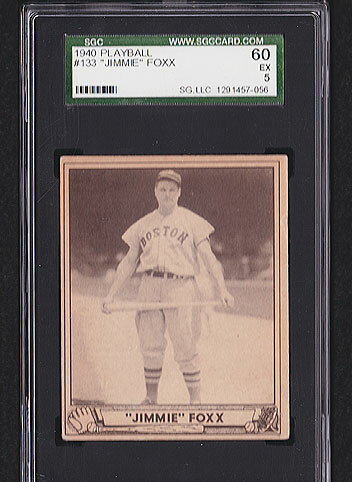 Details: Tremendous 1940 Play Ball Jimmie Foxx #133 graded SGC 60. 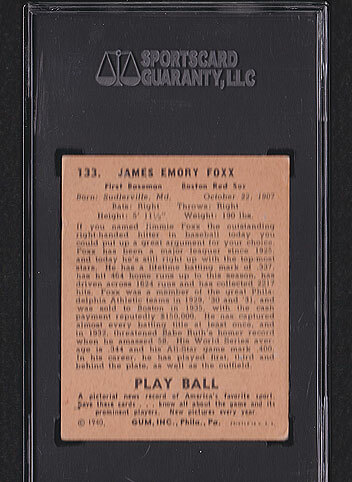 Solid grade. FREE SHIPPING!